Blog Quick Quotes: August Club Q with Alicia! August Club Q with Alicia! Good morning Quick Quotes readers, I have my creations from pieces of this month's August Club Q combined with a few other things from my personal stash. I believe my favorite part of Club Q kits are the die cuts. 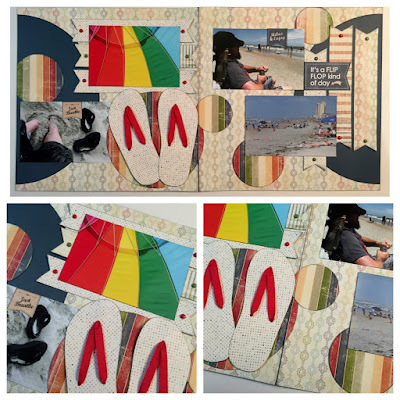 The flip flops in this month's kit are so stinkin' cute! 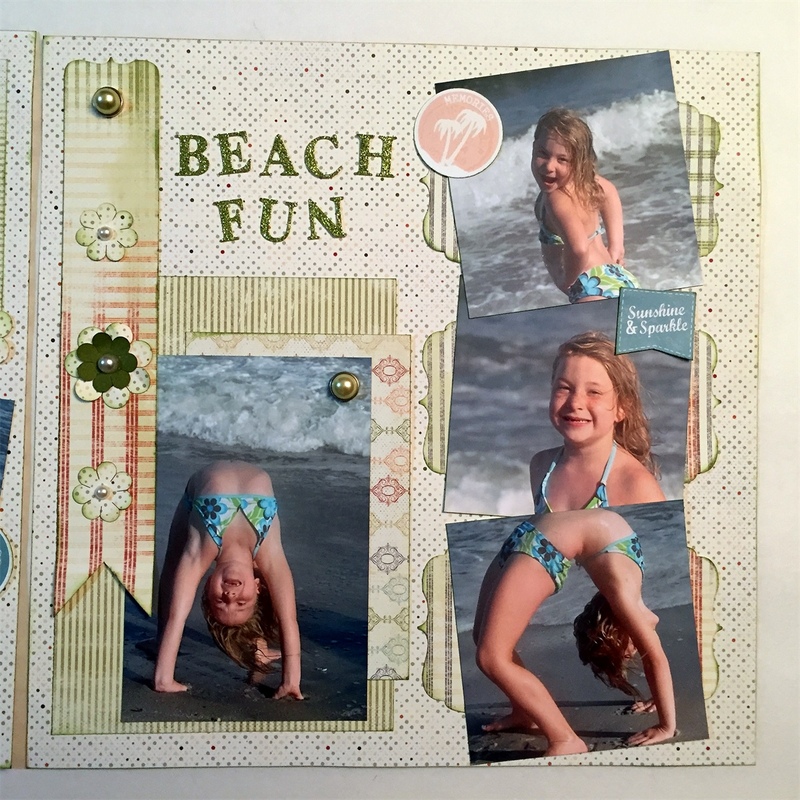 I added some ribbon and pearls after edging with PowderPuff Chalking inks and they are just the perfect addition to these beach layouts and mini album. I also added plenty of the die cut flowers included in this month's kit on this layout. 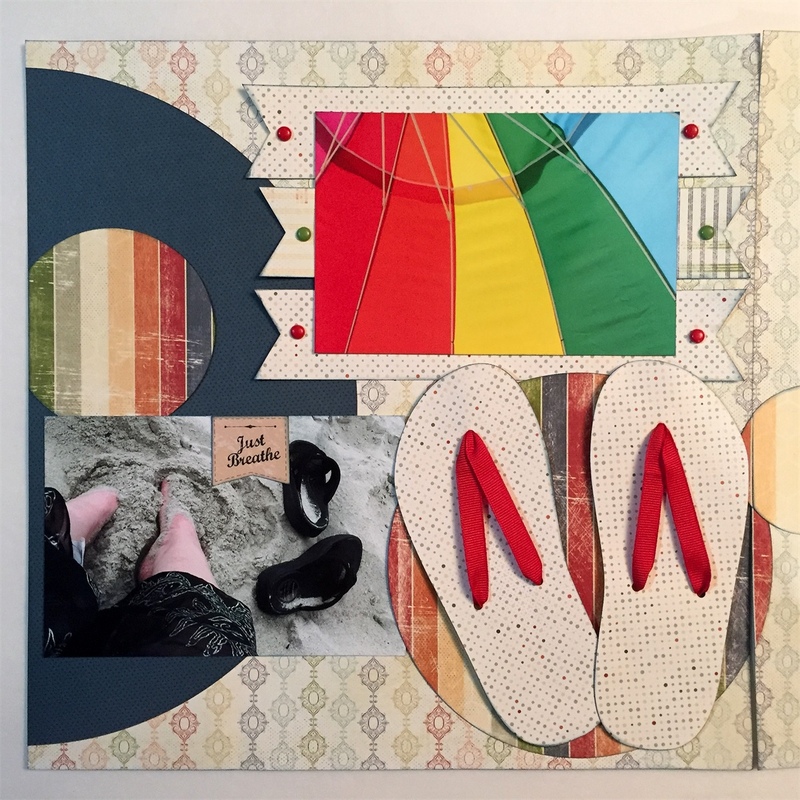 Create a flower is the August Challenge at Quick Quotes this month. If you purchased this month's kit, the challenge should be a breeze! If not, you can easily create your choice of flower project and share it with us! 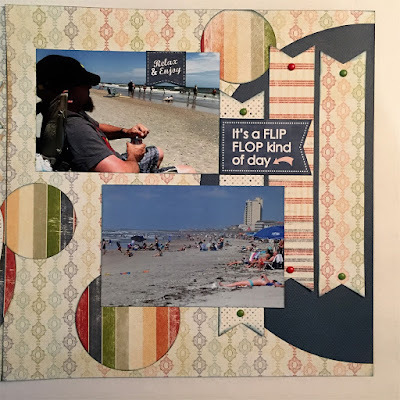 On my second two page layout, I did add a couple of pieces of coordinating papers, but other than that all materials come straight from the August Club Q! I love the banner die cuts. I used the leftover pictures of my niece to create a mini album for her. I think she will love it! 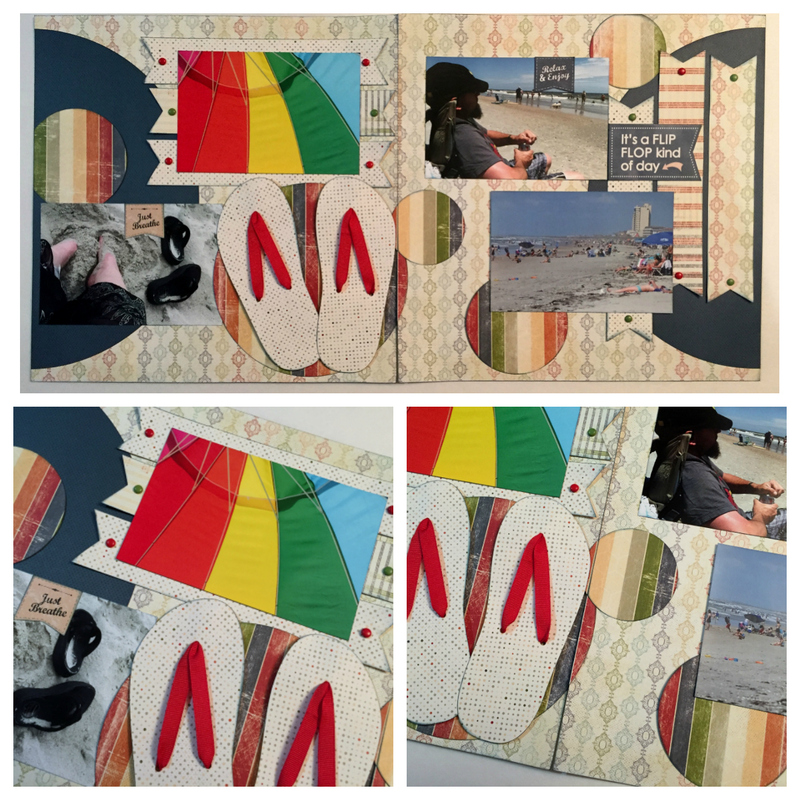 I cut the chipboard into 4x6 pieces and covered with paper or a photo. I used the final flip flop die cuts and rest of the die cut flowers. I used the ribbon that came with the Quick Quotes Club Q kit and a little from my stash.